Centara Hotels & Resorts’ latest venture is two new properties in China, with the group’s management signing two new agreements for what will become the new ‘Centara Grand Beach Resort Jin Tai Hainan’ in Hainan Province and the ‘Centara Villas Zhaoqing’ in Guangdong Province. Thirayuth Chirathivat, chief executive of Centara Hotels & Resorts, commented that the addition of new properties, in these strategic Eastern locations, is an excellent opportunity to expand the company’s portfolio. 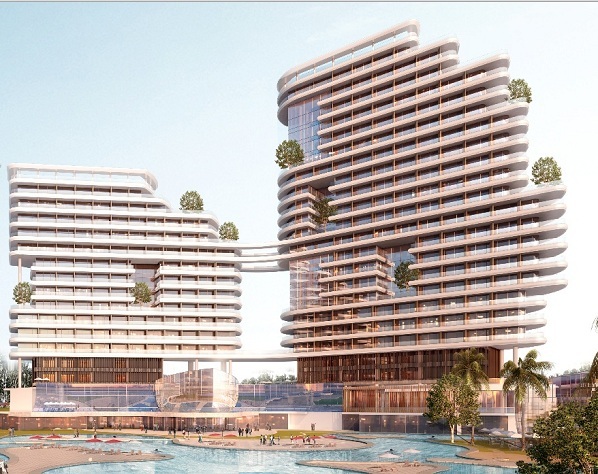 Centara Grand Beach Resort Jin Tai Hainan will be a new five-star family resort with 350 guest rooms, three restaurants, swimming pools, club lounge, a SPA Cenvaree, fitness centre, large meeting facilities, water park and a kids’ club. The resort is expected to open in quarter four of 2019. It is owned by Jin Tai Heng Ye Real Estate, a subsidiary company of Shaanxi Energy Group, and one of the top 100 state-owned real estate developers in China. Hainan has been designated a Special Economic Zone, therefore Centara is ensuring that they have a presence amid what is expected to be an important growth region in China. Centara Villas Zhaoqing, also newly-built and expected to open in quarter four of 2018, will provide an upscale resort with 46 villas in three categories, consisting of one-bedroom, two-bedroom and three-bedroom villas. The resort is owned by Yuhao Properties, a fast growing company which focuses on real estate development and property management and that is currently owner of the Centara Resort Zhaoqing property, an upscale resort with 237 guest rooms that was signed to Centara in January 2015. Both Centara Resort Zhaoqing and Centara Villas Zhaoqing are located in Guangdong’s Zhaoqing City, a regional tourist hub and one of the key cities in the Pearl River Delta region. Local visitors and travellers from Guangzhou, Shenzhen, Foshan, Zhuhai and even Hong Kong and Macau are known to visit Zhaoqing for weekend getaways and excursions. The Rainforest-theme adventure waterpark being built at the Zhaoqing resort will certainly new add an additional draw for tourists.